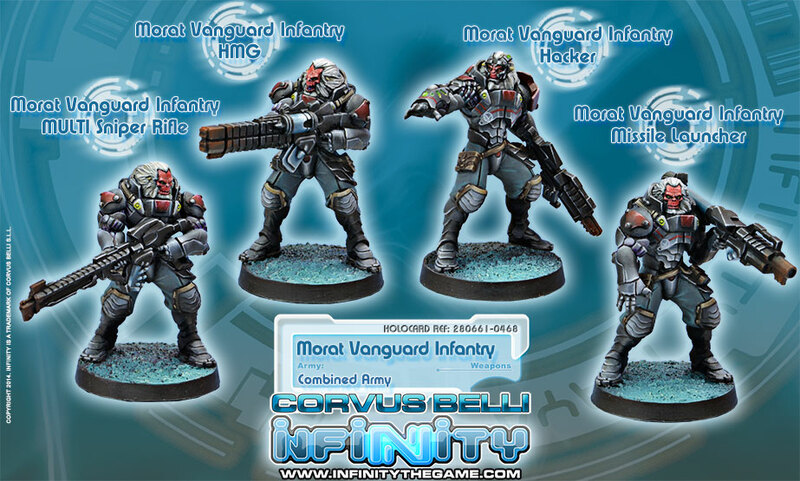 The Vanguard Infantry regiments are the basis of the Morat Aggression Forces. On them lies the main weight of the Morat offensives during the conquest campaigns of the EI and they do not mind. 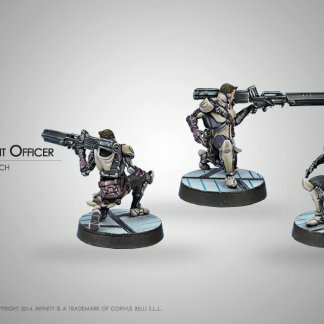 Morat soldiers are ferocious to the bone, big, strong and always menacing, even when disarmed. 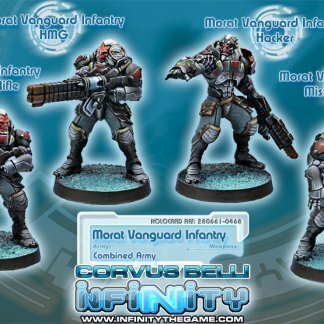 The Morat Vanguard Infantry has a long, lengthy and blood-spattered combat record. A direct descendent of the old front line combat regiments, the Vanguard Infantry has inherited their old and brutal traditions. 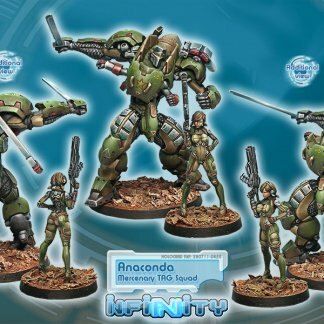 In all the common rooms of their headquarters, there is a visio-plate that constantly transmits the following message: “You are Vanguard Infantry, your destiny is to die and the Army will take you where your death is awaiting”. 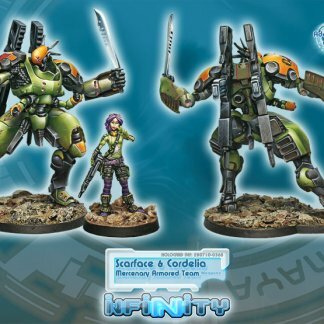 Conventional armies look for a final victory but the Morat Vanguard Infantry knows that the end of a campaign only marks the beginning of another. For the Morat, war is never over.